I am so excited! I was nominated by Melanie Craft for a Liebster Award! Thank you so much Melanie for this opportunity to answer some fun questions and meet some new bloggers! 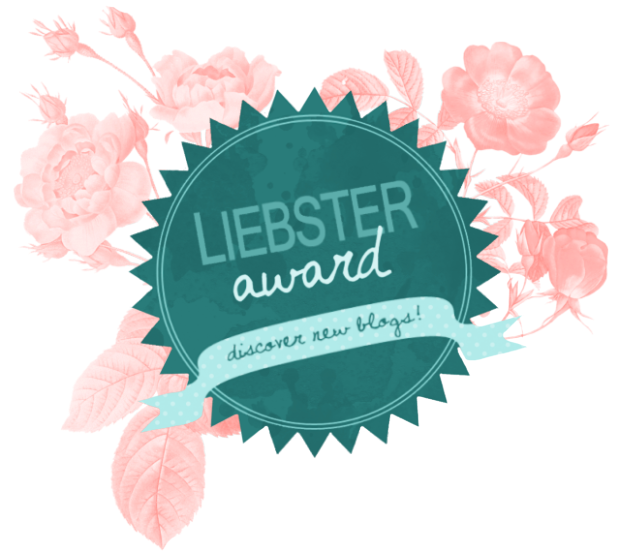 For those of you that don't know, the Liebster award is an award for new bloggers with under 200 followers, who are just starting to get regular readers and fans! This is a great way to learn about new bloggers! The following are the questions from Melanie, that I need to answer for myself! I chose the name Keepin' it Real, because that is what I always vow to do. I am not going to sugar coat my journey. I am not going to lie. I am going to tell it how it is. One of my biggest pet peeves are people that will always tell you that "everything is awesome" (Lego movie quote, anyone??) when we all know that there are real struggles for everyone. I am going to tell you my struggles and hope that by doing that I am helping someone else feel "normal!" I love to be social, but am also a homebody! I love celebrity news! Someday I hope to meet one, preferably, someone like Bradley Cooper! I wish I could plan parties for a living! Pretty much all bugs scare me, I am a huge baby though with anything that stings, is big or looks furry. I get so happy to roll down all the windows in my car, on a beautiful day, listen to good music and drive all by myself. It is so freeing and gives me such a calm, happy feeling! I love the beach. I love putting my feet in the sand and I could look at the view all day and be content! I am almost always late. I always think I can squeeze in one more thing or under estimate how long it will take to get somewhere. When something is super important I am always really early because I make myself leave so much earlier than I normally would! I am not a strong swimmer so being in deep water can make me anxious. I live in such a technologically savvy world, but I still use pen and paper most of the time. I get super excited to go down the school supply aisle in the stores, there is nothing I love more than new pens/pencils or notebooks. I was more excited as a kid for school supplies than for clothes! I love them! I love to organize things. It gives me such satisfaction when it is done, although, I almost never keep it organized. I just love the process of organizing! Reading! I have always loved to read, but for years after having kids, I was lucky to read a couple books a year. Now that the kids are getting older, I am finding more and more time to read for pleasure! I joined a book club where I get lots of great book ideas. I have already read a few great ones this year and it is only mid February! Orphan Train, The Husbands Secret to name a few! Want the whole list? I will be doing a book review post next week! I love the accountability that it gives me in my weight loss journey. I love the support and new friendships I have made from my readers. I have loved some of the great feedback I have received from people also struggling that are benefiting from reading my blog. That is what it is all about to me! Current life. That's pretty much it. What I am eating, what I am doing, things that are making me happy, etc. If I wasn't a traveling chicken, and dared to leave the country (some of you are laughing at me, I know!) I would love to see Portugal and Italy. I think it would be so cool to see the countries where my families are from. 8. If you have kids or pets, what are their names? Tell me about your babies. I have 2 kids. Olivia and Owen. They are crazy. In the same day they can give me such joy and make me pull my hair out! Olivia is a sassy, 8 year old girl, who is incredibly smart, loves to learn, dances and cartwheels through the house more than she walks, has a great little group of friends. She can be shy, but usually only until she is comfortable. She is an absolute angel in the presence of anyone but us. Her teachers say they would love a classroom full of Olivia's, but when she gets home she gives us a run for our money! Owen is a feisty, 4 year old boy, who is easy going (mostly), determined and hilarious. He makes me laugh just being him, on a daily basis and I love it. He is sensitive and sweet, while also being a rough and tough little guy! He loves trucks, to play outside and plays so well with all of his friends. Next year he is off to Kindergarten and I still can't believe it. I don't know where the time went. I will be excited for him and in some ways, I am ready for him to go as much as he is ready, but my days will be a little lonely for sure! This is easy! We put our second floor on the house...immediately! And someone else does all the work! We are busting at the seams in this house and we all need our own space. With the money, I would take a nice long vacation on a tropical beach and when I came back we would have 3 bedrooms upstairs! I don't often spend a lot of time by myself. If I did find myself alone, a book, a glass of wine and a bath would be heaven, wandering Target by myself, would be a close second! But when I take time for myself, it usually involves my girlfriends. I try to make myself get out with my friends a few times during the month. You will often find me having dinner or drinks with a friend on a weeknight and I have book club once a month. I also go away with friends 2-3 times per year. Twice a year, I go locally to a hotel where we scrapbook for the weekend. And once a year I spend a weekend with my cousin. We pick a new location somewhere between Maine and Rhode Island each year and spend a weekend, in a hotel or bed and breakfast, we don't cook, we eat out for all our meals, we shop and just enjoy some time to ourselves! I come back a renewed mom and wife, I find these weekends to be a necessity in my life!! In 5 years, I hope to have reached some important goals for myself and my family. My house will be done, I will be happy with my body and I will be spending time figuring out what I want to do with my life! Both my kiddos will be in school full time and I will need to decide what I want do with all my spare time! I hope to be helping people in some way, but still don't know how! Now I get to nominate some great new bloggers. Pop over and check them out! After completing the questions, nominate eleven bloggers with under 200 followers on the social media platform of your choice, and give them eleven questions of your choice. Thanks again, Melanie for nominating me! I hope you all feel like you have gotten to know me a little better after answering all these questions! Come back tomorrow for How the Jeans Fit Friday! Thanks so much for the nomination, Sandy! I love reading these posts! It's such a fun way to get to know other bloggers. I think it's great you make some time to get away and recharge. Love the honesty here, Sandra! It's so much fun learning a little bit more about you. Thanks for sharing! I could have copied and pasted your 11 random facts to my blog. Honestly I didn't read your answers until after I completed mine and the similarities even in our kids are crazy. I know I'm repeating myself but it's really funny!